Following his return to England duty after three years of international retirement, Liverpool defender Jamie Carragher has sensationally revealed that he is yearning to go to South Africa for the chance to be burgled, repeatedly, throughout the tournament. Though some had predicted a harsh response from the England faithful, many of whom live in relatively safe areas, the Liverpool defender is unmoved by the prospect of criticism. “This is about me. It isn’t about anyone else. Before criticising me, people need to get their own house in order, which admittedly can be difficult when there are fragments of glass ground into the carpet, paint flung on the rugs, and – oh God, what is that smeared on the wall? Is it…?It is. Heurrgh”. 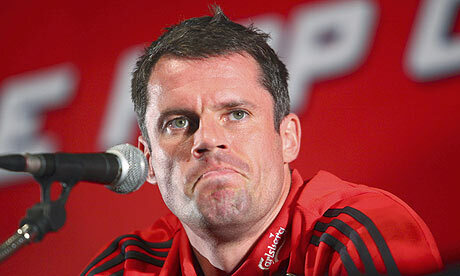 After a difficult year domestically, Carragher is adamant that he wants to put things right. “This season has been a personal and professional disappointment to me “, the defender confided. “No disrespect to the competition, but a club like Liverpool shouldn’t be getting turned over at Europa League level”. “I made my decision three years ago for different reasons. I don’t want to be wondering what might have been when I am watching the World Cup at home, or at least staring into the space where my televisions used to be”. 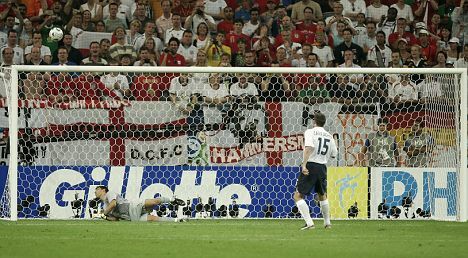 At the age of 32 is unlikely to go away with England again,partly due to his rising insurance premiums, but also for the sake of his legacy. “When I look back on my career, what am I going to take the most pride in? I want to be able to tell my kids that their dad got robbed at the highest level”. Actually the chances of one of these events happening in real life if is very low. Whilst the other – is also very low. I’m sure if he gets through the World Cup unscathed, he’ll probably get turned over instead while away on much more high profile business next season, a Europa League away trip.